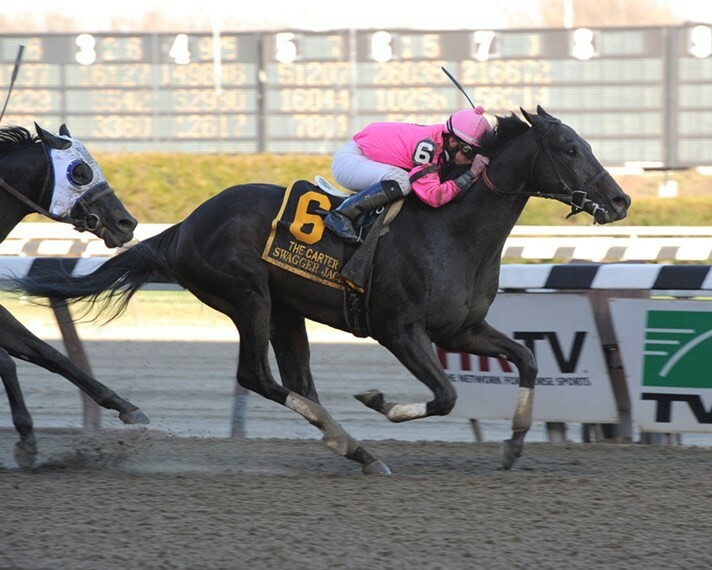 Won the historic Grade 1 Carter, a fixture on the New York circuit since 1895, where he sizzled through fractions of 1:08 3/5ths, stopping the clock for 7f at 1:21 2/5ths, defeating Grade 1 Met Mile Winner Sahara Sky. 2013 standouts as Mucho Macho Man, Game on Dude, Paynter, Declaration of War and Will Take Charge. Broke his maiden in his second start at Gulfstream as a 3YO going a mile on the grass in 1:34 4/5ths. Followed his maiden win with an 8 1/2 length romp on dirt, sent off as the favorite. Gulfstream Park Sprint Championship through fractions of 1:08 4/5ths with a final time of 1:21 4/5ths. Second in the Grade 2 Gulfstream Park Handicap, defeating Grade 1 Breeders’ Cup Classic Winner Fort Larned. Bred in Virginia by acclaimed breeder Ned Evans, Swagger Jack is by Smart Strike, out of the The Minstrel mare Lyrical Prayer. Swagger Jack’s half-sister Grand Prayer is the dam of GI winner Malibu Prayer, who sold for $2,000,000 in the Evans Dispersal Sale. Another half-sister is the dam of European Champion Miler Silverside, and yet another produced Rockin Rockstar a stakes winner of over $350,000. 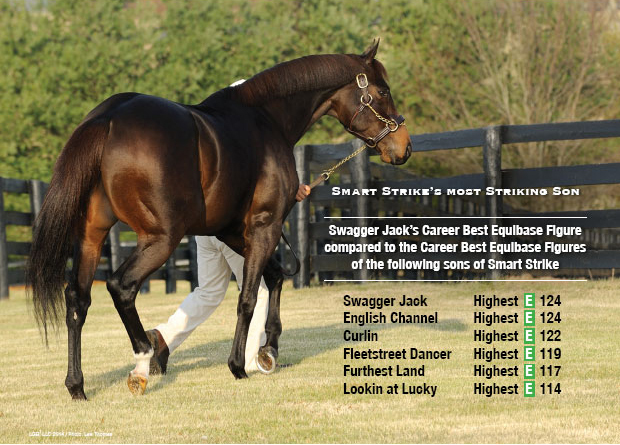 Swagger Jack hails from one of the most prolific female families which boasts no fewer than 38 stakes performers in his first two dams. Swagger Jack is the classic example of "Breeding the Best to the Best"